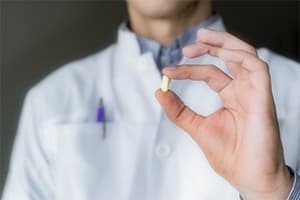 Naltrexone is prescribed to reduce cravings and prevent relapse during addiction treatment by making the patient physically unable to feel the desired effects of opioids. The FDA has also approved naltrexone for the treatment of alcoholism. Naltrexone may be used during heroin addiction treatment, or for months or even years afterward as a maintenance drug to prevent relapse. The drug is not an agonist and does not provide any reward to the user. Naltrexone is not a stand-alone treatment option for heroin or other opioid addictions. Rather, it should be used in combination with other addiction therapies, such as individual and group therapy, support groups, and 12-step programs. Just as in opioid addiction therapy, naltrexone alone is not enough to fully and successfully treat alcohol addiction. A combination of naltrexone with counseling and behavioral therapy is recommended to prevent relapse and sustain recovery. People addicted to heroin and other opioids can be ambivalent about their use and have a high incidence of relapse. Clinical trials have found the naltrexone implant to be 3 times more effective at preventing heroin relapse than a daily oral naltrexone dosage. The implant provides a steady dose of the drug for 2 months at a time. The implant is placed in the skin through a small incision and is biodegradable, so it does not require removal. This method of delivery is an ideal alternative to more frequent oral dosing for patients who may falter in their commitment to sobriety. Even with the long-lasting effects available via naltrexone implants and injections, complete addiction therapy is necessary to maintain lasting recovery. Swelling of the face, mouth, tongue, or eyes. Infection and irritation at implant insertion site. Pain, swelling, itching, blisters, lumps, hardness, and/or open wounds at injection site. 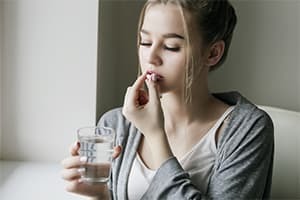 In addition to the above side effects, there are also several precautions patients should be aware of before taking naltrexone. Symptoms of withdrawal could appear as soon as 5 minutes after an oral dose of naltrexone. Vulnerability to overdose: Naltrexone treatment can increase the risk of opioid overdose in 2 ways. First, because naltrexone works by blocking opioid receptors and preventing the patient from feeling high, some people take large amounts of heroin or other opioids in an attempt to override the effects of the naltrexone.1 This is very dangerous and can lead to death. 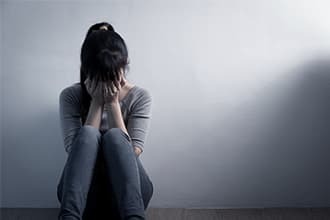 Depression and suicidal thoughts: Though depression and thoughts of suicide have been reported with naltrexone treatment, it has generally been concluded that these symptoms are not directly caused by the medication itself, but rather are associated with the long-term opioid or alcohol dependence for which naltrexone is prescribed.1,8 With this in mind, it is important to note that naltrexone does not manage or ease symptoms of depression in any way. Patients should make their caregiver, close friends, and family members aware of their naltrexone use and any personal history of depression or suicide so that they can provide successful intervention if necessary. Any new or worsening symptoms of depression should be reported to a doctor or mental health professional as soon as possible. Opioid addiction is a chronic disease with high potential for relapse. While there is no single approach that will work for everyone, medications such as naltrexone can help reduce cravings and prevent relapse when used as part of a comprehensive treatment regimen that includes individual therapy, group counseling, 12-step programs, and a relapse-prevention aftercare plan. Substance Abuse and Mental Health Services Administration. (2014). The Facts about Naltrexone. National Institute on Drug Abuse. (2013). Naltrexone Implant Outperforms Daily Pill in Russian Trial. National Institute on Drug Abuse. (2012). Opioid Addiction. National Institute on Drug Abuse. (2016). Opioid Overdose Reversal. Substance Abuse and Mental Health Services Administration. (2016). Naltrexone. Leavitt, S. (2002). Addiction Treatment Forum Naltrexone Clinical Update: Evidence for the Efficacy of Naltrexone in the Treatment of Alcohol Dependence (Alcoholism). U.S. National Library of Medicine. (2010). Naltrexone Injection. Food and Drug Administration. (2013). Revia. Food and Drug Administration. (2013). Vivitrol.